The CCCR is USCF Affiliate A6000220 and meets Wednesday evenings (except holidays) from 6:30pm to 11:00pm at the RCC Rochester Chess Center, 221 Norris Drive, Rochester, NY 14610; Telephone: (585) 442-2430. Sets and boards are provided. Always report the result to the TD or post it on the pairing sheet. Yes, even if you lost. Rates: CCCR annual membership dues are $25.00. Is this the official CCCR website ? Well, no. I'm 69.88 years old and a second-rate web developer. Too feeble to produce quality html code. The Rochester Chess Club Blog is excellent! Most agree that his CCCR master site has a human touch that reveals a warmth, humanity and down-home, caring honesty. The sheer beauty and seamless eye-candy woven into the modern chess tapestry that becomes the perfect website is quintessentially bedazzling. Did you know that the CCCR website contains some excellent chess poetry? Why isn't this site official? While chillin' at the CCCR pool party in Vegas, admiring the flesh parade and pondering the wisdom of doubling down when the dealer shows a face card, it HIT ME ... CCCR is already a successful and popular chess club. We try to give the leaders autonomy and that generates pleasant people with a desire to accomodate the wishes of the membership. Contributions to this website become my property. While gratefully acknowledged, they don't constitute an endorsement and no association should be inferred. Editorial content is generally authored by me, Randy MacKenzie, President of the Hair Club for Cats. See an error? Sorry about that. We're committed to keeping this information accurate. Report the error here and we'll get it fixed ASAP. Thanks to FIDE Master and USCF Senior Master Igor Nikolayev, FIDE Master and ICCM Isay Golyak, USCF National Master Matt Parry, and USCF National Master Stephen Capp for contributing many instructive games for publication. You'll certainly find Jim Trowbridge's excellent blog, Smoke the Pawn, interesting as well as informative. The games database was updated April 05, 2019 7:06 AM and has 2036 games. Isay Golyak has relocated to Florida. An entire epoch of Rochester chess is over. He was a prominent nuclear physicist in the former Soviet Union before emigrating to the U.S.A. He became a high-energy research physicist at the University of Rochester, Department of Physics and Astronomy. 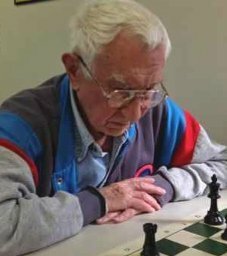 And for about 70 years he has displayed a great enjoyment of chess, for which he retains all his youthful enthusiasm. As a FIDE Master and International Correspondence Chess Master he has played thousands of games, many against legendary figures, some of whom he knew personally. His postal games are often cited as masterpieces of correspondence chess. Never one to suffer fools gladly, he graciously revealed the deeper secrets of the royal game for a quarter century at the Rochester Chess Center. We will always remember Isay for his forceful demeanor and honest approach, as well as his devotion to chess. With an appreciative smile we wish him "Good Luck! and Good Chess!" in his new Southern U.S. location. Weekly digest of chess news and games by Mark Crowther. Founded 1994. Visit The Week in Chess Magazine for more info and TWIC in ChessBase or PGN format. I use Linux and chessx pgn database and viewer to read TWIC pgn data files. Back in the 60's the Rochester Chess Club had a 10-second per move electric buzzer that was rarely used. Then we used chess clocks for 5-minute games. This remained popular for at least fifty years. Older players claimed it was harmful and ruined chess. Younger players scoffed and continued to win. With the advent of the internet, chess servers are largely devoted to blitz and bullet games. ICC and FICS offer 5 0, 3 0, as well as 1 0 time limits. 5-minute chess is that fastest you can play without ruining your game. Most players who play 1 0 bullet chess find that their playing strength is permanently ruined. They will never be able to play good chess at standard OTB time limits again. Some lessons from blitz, Does playing blitz chess really hinder your progression (sic) as a chess player?, Blitz Chess - Is it Ruining Our Minds?. In America, tournament directors are not held to the same annoyingly high standards as in Europe where all TD's are well-trained. You can't become a TD there by just paying fees. You study and pass multiple tests in front of a serious commission. A chess TD in Europe is constantly vigilant and frequently intervenes, watching everything and noting violations, similar to American basketball, baseball, and football referees. But in American chess tournaments, the TD may see problems but doesn't interfere with play unless requested to by a player. Normal in USCF practice. It's practically a totally different chess culture in Europe. Suppose a European Qualification Committee member, let's say in a Zurich chess club, noticed irregularities in a rated tournament. Players noisily eating potato chips, slurping soups over the board, almost using the board as a plate or a tray, talking during the game, not keeping score sheets, making moves with one hand and pressing the clock with the other, offering a draw more than once, etc. All of which regularly happens in RCC. If the TD there condones that type of behavior, he would lose his TD certificate and the club would lose its license. They would be told, "You can have good time here socializing and playing chess, but forget about being affiliated with the national federation and FIDE. Just enjoy yourselves and you don't need any TDs at all." The Rochester Chess Center must turn a profit to survive. But in a socialist country like Europe, businessmen are often well-dressed philanderers, supported by their rich contessa wives. What keeps the Rochester Chess Center afloat is snack bar sales. A genuine business, of course. Play the first few rounds of a tournament then drop out to avoid meeting serious opposition. Neglect post-mortem sessions which give duffers insight about your valuable, secret pet lines. Believe that the key to winning chess games is automatic pawn exchanges. Rely on computers assessments rather than doping it out yourself. Trust the latest analysis from Moscow rather than your own instincts. Scrutinize the player list to see if you will face serious opposition. And walk out if prospects look bleak. Prefer grabbing material (mostly pawns) rather than playing good chess. Consider yourself the custodian of your USCF rating, rather than simply enjoying chess. Worry about dipping below 2200, because your USCF rating is the fashion statement that defines you. Played a USCF-rated match with a player rated 150 points below you to safely push your rating over 2200. Play to improve your position, following principles and themes, eschewing material loss or gain. Routinely show others correct lines, knowing that you will have more ideas and lines later. Acknowlege computer assessments, but realize that being up "+1.43" isn't really saying anything. Willing to match anyone at any time. Prefer playing real chess rather than bean-counting pawns and pieces. Don't sweat dipping below 2200, because a USCF rating is just a number. What are the duties of the CCCR officers? Please note that with the exception of treasurer, these offices appear to be ceremonial. There is no secretary keeping minutes of meetings because AFAIK there are no officer's meetings. The president has no duties because there are no club bylaws or constitution defining those duties, and no elections. We have officers because other chess clubs do and we think we probably should, too. This "election" nonsense, a remnant from a time when some people had critical thinking skills, is no longer necessary or meaningful. These are politically charged times. Battle lines are drawn. We expect your indulgence, obedience and steadfast, unyielding loyalty. Please try to be loyal mean, or at least quiet, best you can. Normally, I'd be a little concerned because, generally, appointing officers is done to avoid the appearance of impropriety and rubber stamp the decisions of the person that appointed them. But sometimes they are appointed as a matter of convenience and that is what has occurred in this case. Yes, that is what happened. I am sure of it. As a great American and U.S. Army veteran, 39-year-old Ron Lohrman, proprietor of the Chess Center, is married with a son and a daughter. He was an avid amateur bicycle racer and played some ice hockey at Clarkson College while earning an engineering degree. He worked at Kodak. He enjoys playing in baseball leagues. His chess camp and scholastic youth programs are outstanding. The Rochester Chess Center sells discounted chess equipment and has a weekly event schedule. The best tournament the RCC has each year is the Marchand Open, generally held in March. Mendon Ponds Park, East Lodge; Wednesday, July 12th. Directions: Go south on Clover Street, cross the NYS Thruway, enter the park (turn left) at the first entrance. The lodge is 1/2 mile on the left. Fires will be stoked up at 5:30pm, although the lodge is ours from 12:00pm on. Rain or shine, the lodge will be fine! Rochester Chess Center provides the Chess Sets, soft drinks, and charcoal. Bring your own food to grill, plates, silverware, and sports equipment. This is a communal event, so please bring a dish to share. Last name A to M please bring a salad to pass, N to Z please bring a desert to share. Of course if you have that very special picnic goodie you always make, please bring that along instead. Everyone is welcome, $5 per person, $15 maximum per family. Picnic is free to Chess Center members and their families. FICS or the Free Internet Chess Server, the oldest chess server, was started in 1992. 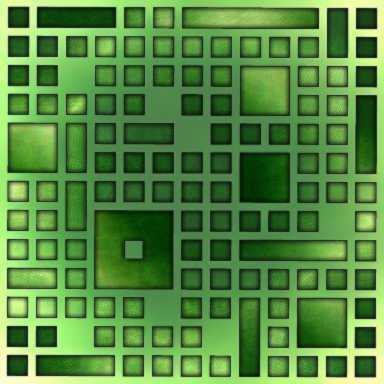 The code powered many national chess servers as well as the ICC Internet Chess Club. It's a dopey, quaint relic from the past. Understandably not much serious chess is played. Most FICS players don't necessarily like chess, but prefer to chat with friends and form relationships. It's next to impossible to get a game or find a worthwhile opponent. The client interfaces are not even browser-ready. If you want to play chess online for free in a sensible environment, instead select a modern, well-designed chess server like lichess.org. There will be 1000s of players there. And no BS. Community Chess Club has announced the acquisition of a building in downtown Rochester, Minnesota, an area with a more understanding tax environment. The concourse has shops, restaurants, and a health bar. One hundred and fifty individual units will house chessplayers at a room rate of $5.00 USD per day. Extended stays are OK, provided that your CCCR, RCC, and USCF memberships are current, and that your USCF rating doesn't decrease by more than fifty points in any three month period. The present occupancy rate is 75%, and consists of businesses renting office space at premium prices, which defrays our costs. But chessplayers have exclusive use of seven floors for skittles, bughouse, serious tournament play, or just lounging around and eating pizza. No smoking, no alcohol, no drugs, no religion. Use of the sauna, steam room, jacuzzi, and wifi-ready recreation area is included. Demographic projections show that a proposed Las Vegas-style Nightly Chess League (NCL) will draw a weekly total of a thousand (1000) players, Monday through Friday. It'll be played in three sections: open, under-1800, and unrated. We believe that an upscale clientele will prefer our events to the bar and restaurant scene in recessionary times. Rochester, Minnesota is a bit like Bagdad but without all the glitter. American chess grandmaster Kenneth Rogoff grew up a mile from the Rochester Chess Center. His comments on his chess career and chess games are available. The Boylston Chess Club Weblog has an Up Close & Personal story. 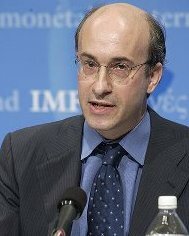 He was chief economist of the International Monetary Fund from 2001 to 2003, and is now an economist at Harvard University. His views on the current (2008) financial crisis and other financial matters are widely aired on National Public Radio and the BBC Radio World Service. His economic insights appear regularly in Newsweek, New York Times, and The Financial Times. He served as an economics adviser to the 2008 Republican presidential nominee, U.S. Senator John McCain. In 2010 he co-authored This Time Is Different: Eight Centuries of Financial Folly with Carmen M. Reinhart, reviewed by the New York Times Business and Economy section. Elsewhere he writes of the imminent Chinese Property Collapse and wonders, "Can Good Emerge From the BP Oil Spill?" On April 27, 2010 the National Academy of Sciences announced the election of 72 new members, including Professor Kenneth Rogoff of Harvard's Department of Economics. Professor Rogoff will join the Academy's 2,097 active members as advisers to the nation on science, engineering, and medicine. Bloomberg has some accounts of Rogoff's recent activities. CSPAN has hosted some of his panel appearances and lectures. [Oct. 4, 2008 Matt Parry Vietnam Tournament] CCCR supported Matt's trip representing the USA at the World Junior Chess Ch. in Vung Tau, Vietnam. Three round Swiss System (2pm, 4pm, 6pm) G/60. Special Entry Fee $20.00, $10 donated to the Parry family, $10 to prizes. Matt won the tournament, the cash prize and got $200.00 to help defray costs of the trip. Update 10/24/2008: At the event midpoint, Matt is doing well, winning when expected to, and losing games to much higher rated titled players, GM/IM/FM. He finished with +5 =0 -6. Matt Parry has contributed his trip summary from the 2008 World Junior Chess Ch. in Vung Tau, Vietnam.